Voice search refers to users being able to perform searches verbally by asking questions on a computer, smart device or smartphone. The growing popularity and convenience of smart speakers and voice assistants such as Alexa and Echo (Amazon), Siri (Apple) and Cortana (Microsoft) has led to experts predicting that by 2020, 30% of all searches will be done using a hands-free device, and that the number of smart speakers in use could reach 100 million globally by the beginning of 2019. As more people begin to use voice search technology, voice recognition software will become more accurate and smart speakers will become more advanced, conditioning users to rely on voice search to find the products and services that they need. This shift will inevitably change the way businesses reach and engage their customers, from targeting long-tail keywords as search queries become more complex, to an increase in the importance of local search as users search for services in their local area. The first way that you can optimise your website for voice search is by writing relevant and conversational content which answers common search queries. In terms of voice search semantics is more important than keywords, meaning that your content should answer questions frequently asked by clients about your industry both concisely and effectively. This content should be easy to comprehend and conversational in tone, reflecting the less formal style of voice search queries. Your goal should be for your content to appear as a featured snippet in Google’s Answer Box in ‘position zero’, or the top position of the results page. Earning that top position means that your answer will be chosen for relevant search queries, increasing the visibility of your business over your competitors. Because of the way we speak, voice search queries tend to be longer on average than written queries. To optimise your business for voice search, you need to focus on long-tail keywords which are similar to the questions users are most likely to ask regarding your industry, product or service. These keywords can then be turned into the type of common questions preferred by voice assistants, increasing the likelihood of your business being featured in voice search results. Long-tail keywords tend to be more specific than other keywords, feature three to five words, and should aim to target users at different stages of intent based on frequently asked questions, from finding the correct product for a job to locating the closest store. A third way that you can optimise for voice search is to focus on local search results, such as your Google My Business page. More than 20% of voice search queries are triggered by a combination of only 25 keywords, including ‘how’, ‘when’ and ‘where’. When users search for businesses in their local area, or use the phrase ‘near me’, the Google voice search algorithm automatically goes to its business listings to make suggestions for relevant locations. Ensuring that your business address, contact details and opening hours are up to date, along with building your online reviews and choosing relevant keywords for your area, will help your business rise to the top of local search results. Finally, to take advantage of voice search in 2019 you should ensure that your business website is optimised for mobile devices. In 2016, 1 in 5 adults were recorded to be using voice search on their mobiles, while Google reported that 20% of mobile searches are voice searches, with that percentage likely to rise over the next few years. Focus on including local content and metadata, and ensure that the site is responsive and quick to load. Because people who use voice search are likely to be on-the-go or multi-tasking, and taking into account the fact that the likelihood of bounce back increases to 90% when a page takes 5 seconds to load, it is essential that your website should be as mobile friendly and responsive as possible. 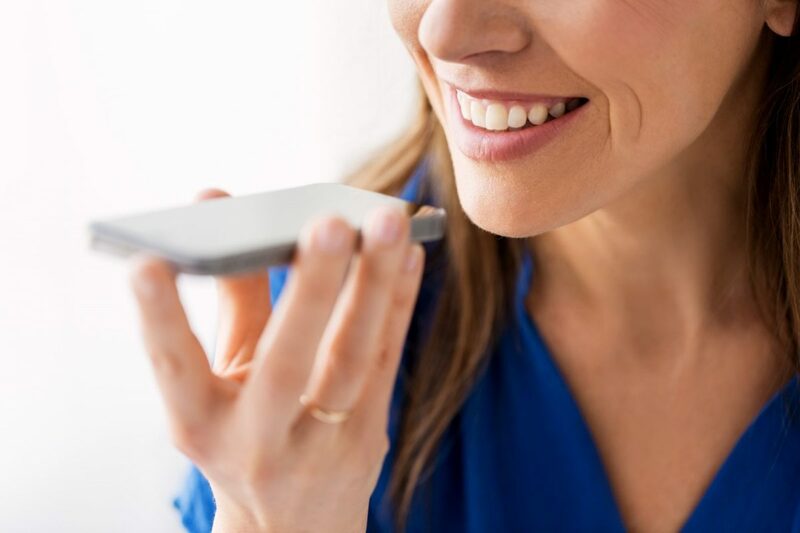 As voice search technology continues to evolve, it is becoming an increasingly valuable marketing tool for businesses. Optimising your website for voice search now will ensure that it is your business, rather than your competitors, which will reap the rewards in terms of traffic and conversions. The team at TWMG can help you optimise your company website for voice search in 2019 with our comprehensive SEO service. To put your business at the forefront of digital innovation, give us a call on 1300 911 772 or Contact Us here.